This is the eleventh installment in the ‘Become a MySQL DBA’ blog series. 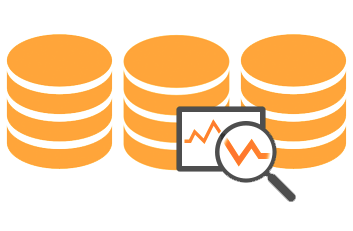 Our previous posts in the DBA series include Analyzing SQL Workload with pt-query-digest, Query Tuning Process, Configuration Tuning, Live Migration using MySQL Replication, Database Upgrades, Replication Topology Changes, Schema Changes, High Availability, Backup & Restore, Monitoring & Trending. What to look for in pt-query-digest summary section? When you get a report generated by pt-query-digest, the summary is a good place to start. If you are familiar with your workload, this can indicate whether the workload you captured looks “normal” or whether something has changed. This is true for the test scenario we’ve prepared here - we are familiar with the sysbench workload which we used to generate this slow log. The queries are fairly quick and do not suffer from any locking. We’ve added a couple of ad hoc queries to the mix to simulate non-optimal queries that somehow slipped through a QA process and started to impact production. In the summary above, you can notice the max execution time of 44 seconds and max lock time of 12 seconds. This is definitely not a pattern that we are used to, it has to be a result of the new queries. Number of max bytes sent by a query is also not common in the sysbench workload. It’s fairly well indexed, so there’s not that much data being sent to the client. This tells us a couple of things - we are dealing with queries that scan lots of rows. At least some of them are DMLs as we see a significant increase in lock time. A part of the report where we see InnoDB statistics tells us that this is row lock time. Let’s check a summary of all queries, we are mostly interested in the execution time per call column (R/Call). You may notice a lot of administrative queries like SHOW PROCESSLIST or SHOW TABLES. MySQL logs every query out there and you can see different entries in your slow log. #    1 0x558CAEF5F387E929 385.0075 24.9% 1269596  0.0003  0.00 SELECT sbtest? #    2 0x737F39F04B198EF6 171.1443 11.1%  127006  0.0013  0.00 SELECT sbtest? #    3 0x6408196D4E419490 141.9605  9.2%       6 23.6601  0.17 SELECT sbtest? #    4 0x84D1DEE77FA8D4C3 122.1600  7.9%  127006  0.0010  0.00 SELECT sbtest? #    6 0x3821AE1F716D5205 106.3605  6.9%  127006  0.0008  0.00 SELECT sbtest? #    7 0xD30AD7E3079ABCE7  89.2480  5.8%  126986  0.0007  0.46 UPDATE sbtest? #    8 0xE96B374065B13356  80.0196  5.2%  126973  0.0006  2.71 UPDATE sbtest? #    9 0xEAB8A8A8BEEFF705  79.4696  5.1%  126964  0.0006  2.29 DELETE sbtest? #   10 0x89E30DDBB4B37EEB  74.9633  4.8%       5 14.9927 13.34 INSERT SELECT sbtest? #   11 0x6EEB1BFDCCF4EBCD  72.2472  4.7%  127006  0.0006  0.00 SELECT sbtest? #   12 0x30B616F874042DCA  52.4873  3.4%       3 17.4958 11.48 DELETE sbtest? #   13 0xF1256A27240AEFC7  46.7403  3.0%  126968  0.0004  0.00 INSERT sbtest? From what we can tell, there are three queries which are much slower than the rest (queries 3, 10 and 12). They did not generate the majority of the load on the system, but they are likely responsible for the performance degradation of our system. Also, keep in mind that the query which generates the largest load may not be the root of the problem. You have to check it query by query. As you can see, all of those queries are fast most of the time - that’s what the R/Call column shows. Yet, from time to time, those queries take much longer to finish (as shown by V/M column). Summary of the queries - what to check for? We can say that by now we have some idea what might have gone wrong with new queries, we still should go query by query to confirm our suspicions. First query, the one which is causing the largest impact on the system. This is a no-brainer. The query is based on a primary key or an unique key (EXPLAIN can show us exactly which index, column name is id therefore PK is more likely) as it’s scanning no more than a single row. If the query uses a covering index (all data can be accessed using index page only, no row lookup is needed), it’d be the most optimal query you can execute in MySQL. If not, it’s still very close to perfect. Sometimes queries cannot be optimized further, even if you see them at the top of the pt-query-digest reports. The only way to limit the impact caused by this query would be to add a covering index (not much gain), not to execute it (perhaps not very realistic) or execute it less often by using aggressive caching. It’s not always possible but sometimes it is a viable option. This query is responsible for all of the temporary tables that have been created. Unfortunately, because of a range condition on the ‘id’ column, there’s no easy way to avoid creating them. What is also very important - this query is fast: average - 1ms, 95% - 3ms. It’s very unlikely that you’d be able to improve it much further. Sometimes there’s no point to try to reach perfection - you could use your time better tuning other queries, you just have to settle for ‘good enough’. Ok, we can see very clearly why this query is slow. It’s making a full table scan, examining almost 5 million rows in the process. The amount of work needed to perform this task definitely can impact performance of MySQL. It’s especially true if all of this data had to be read from disk. Please take a look at the query execution time distribution - it’s a very nice graphical presentation of a very important feature of every query - predictable and stable performance. In this case we can clearly see that the execution time of this query is not stable - most of the time it finishes in 100us - 10ms area but it can as well take 1 - 10 seconds to finish. This is clearly a sign of problem. By looking at rows examined and rows affected it’s clear that we use either PK or a unique key as it scans and updates one row only. We now need to look at the lock time and execution time - max is in both cases 6 seconds. It means that query had to wait before it could have been executed. Finally, in InnoDB section, we can confirm that it’s not an I/O but row locking on which query was waiting. Here we have a INSERT INTO … SELECT query, a query that will lock all of the rows it has to copy. As you can see in the execution time row, it took up to 44 seconds. This is a significant amount of time for which those rows stayed unavailable for any other queries. It is very important to keep in mind that operations like this have to be performed on a small subset of rows at a time. Exact numbers depend on a table and your hardware but we’d say 1000 rows is a good number at the beginning. This way you will minimize the execution time for a given batch, you will also minimize the number of locked rows. Thanks to this, the whole process should be less impacting on the rest of the workload. As we mentioned in the previous post in the series, pt-query-digest, by default, sorts queries by their total execution time. This is a good choice most of the time but there are some cases when you’d want to change this default behavior. which contains all attributes. Not every one of them makes sense to be used as a way of ordering the results but some, yes. #    1 0x737F39F04B198EF6 171.1443 11.1%  127006  0.0013  0.00 SELECT sbtest? #    2 0x6408196D4E419490 141.9605  9.2%       6 23.6601  0.17 SELECT sbtest? #    3 0x84D1DEE77FA8D4C3 122.1600  7.9%  127006  0.0010  0.00 SELECT sbtest? #    4 0x3821AE1F716D5205 106.3605  6.9%  127006  0.0008  0.00 SELECT sbtest? #    5 0x6EEB1BFDCCF4EBCD  72.2472  4.7%  127006  0.0006  0.00 SELECT sbtest? #    6 0x89E30DDBB4B37EEB  74.9633  4.8%       5 14.9927 13.34 INSERT SELECT sbtest? #    7 0x30B616F874042DCA  52.4873  3.4%       3 17.4958 11.48 DELETE sbtest? #    8 0x558CAEF5F387E929 385.0075 24.9% 1269596  0.0003  0.00 SELECT sbtest? #    9 0xD30AD7E3079ABCE7  89.2480  5.8%  126986  0.0007  0.46 UPDATE sbtest? #   10 0xE96B374065B13356  80.0196  5.2%  126973  0.0006  2.71 UPDATE sbtest? #   11 0xEAB8A8A8BEEFF705  79.4696  5.1%  126964  0.0006  2.29 DELETE sbtest? As you can see, our ‘not-optimal’ queries moved up in the report because they did a lot of table scans and, as a result, examined a lot or rows. #    1 0x89E30DDBB4B37EEB   74.9633  4.8%       5 14.9927 13.34 INSERT SELECT sbtest? #    2 0x30B616F874042DCA   52.4873  3.4%       3 17.4958 11.48 DELETE sbtest? #    3 0xD30AD7E3079ABCE7   89.2480  5.8%  126986  0.0007  0.46 UPDATE sbtest? #    4 0xF1256A27240AEFC7   46.7403  3.0%  126968  0.0004  0.00 INSERT sbtest? #    5 0xEAB8A8A8BEEFF705   79.4696  5.1%  126964  0.0006  2.29 DELETE sbtest? #    6 0xE96B374065B13356   80.0196  5.2%  126973  0.0006  2.71 UPDATE sbtest? Our “bad” DMLs took the top two places in the report. This is not unexpected given the high number of rows they scanned compared to optimal writes performed by sysbench. Having an ability to reorganize the order in the report can help us find these queries quickly. fingerprint: select c from sbtest? where id=? We can see the checksum of the table (decimal version of a hex checksum used in pt-query-digest), fingerprint, sample and time when the query was spotted for the first time and when it was last found. Next, we have columns which can be updated manually - if you set ‘reviewed_by’ column to some value, it will be skipped in the next report. This is very handy because you don’t have to go through all of the queries - you are presented with only those queries which you haven’t reviewed yet. To be precise, the summary section will contain all of the queries but query details are printed only for queries which haven’t been marked as reviewed. Another feature, very similar to what we just covered, is option --history, which creates a table percona_schema.query_history. This table contains data about performance metrics collected by pt-query-digest. We are talking here about all those metrics that you see in the report. It shows that this query slowed down due to waits on row level locks. This table is also a good source of data for graphs and performance reports. We’ll end here our guided tour of pt-query-digest, and hope you found it useful. Our next blog will be about indexing - what types of indexes are available, how they affect performance and how to design indexes in order to fit a query mix.